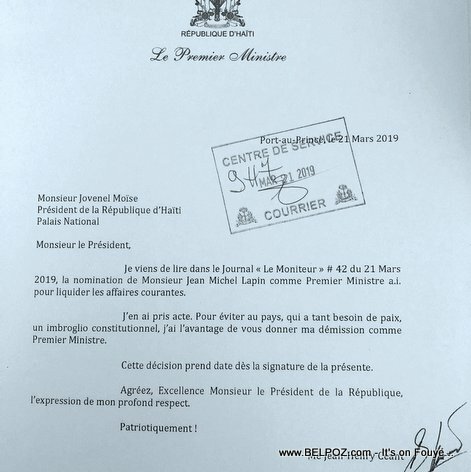 The outgoing prime minster said so himself on his resignation letter: "I just read in the official government newsletter Le Moniteur" dated March 21, 2019, that Mr Jean Michel Lapin was nominated as interim prime minister. I took note of it. to prevent the country from going down in to an constitutional imbroglio, I've decided to submit to you my resignation. Jean Henry should have not been in middle of these illiterates to start with. 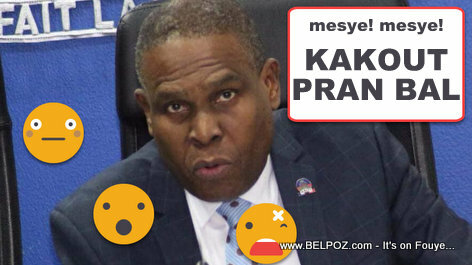 Haiti is full of these idiots as Senators who cannot even read nor write. Jean Henry would have never be welcomed by these analphabetics peasants. Jean Henry is too educated for the Baka and too refined.